We offer services for families and for youth each year, in addition to our main service, which includes the participation of our adult choir, powerful teachings by our clergy, and a chorus of shofar blowers. The High Holy Days are an important opportunity for our entire community to come together to consider our journeys from last year to this, and to prepare ourselves for the year ahead. While many of the services are open for Temple members only, many are open to the community, as well. Please contact the office for additional information. Members of the congregation automatically receive High Holy Day tickets for each adult member of the household. Members are also welcome to purchase additional tickets for relatives. Please contact the office for assistance. We look forward to sharing wonderful High Holy Days together! 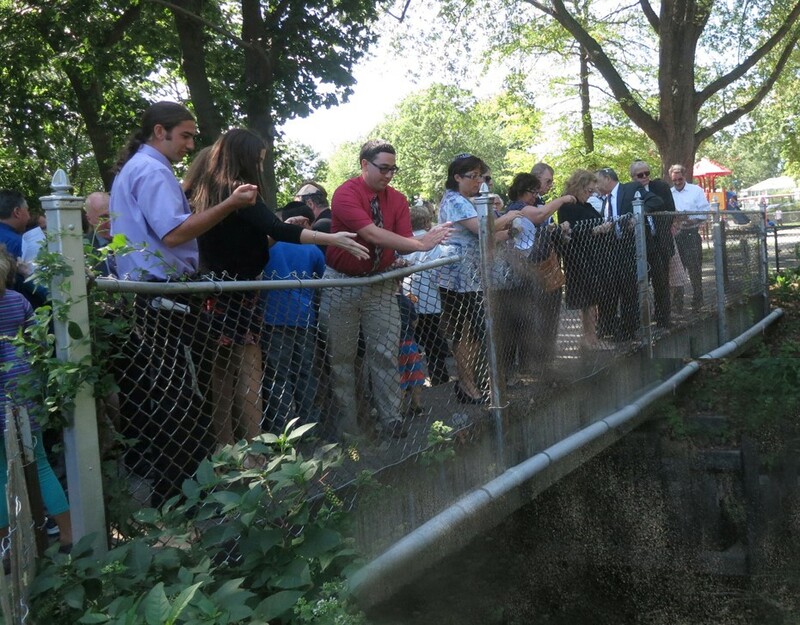 Members of Temple B’Nai Torah of Wantagh gathered at Forest City Community Park in the afternoon of the first full day of Rosh Hashanah, to take part in the long-standing Jewish custom of Tashlich. Participants threw bread into the water, to symbolically cast away their sins.